The small Lucrezia armchair is distinguished by its modern lines and by the research of constructing materials of superior quality. In respect of its own history, Sevensedie is persuing innovation by presenting new models with an Italian soul and an original style. Lucrezia unites a modern design with a special construction tecnique that guarantees its durability. A solid Beechwood structure is an assurance of great strenght and stability. The seat is padded with foam for an exceptional comfort. It easy to desire to stroak the smooth surfaces of this elegant piece, while the beautiful colours enhance the precious fabric. The geometry is essential, with streamlined legs giving a very light look to the piece. A unique backrest is the final touch for an elegant and charming result. 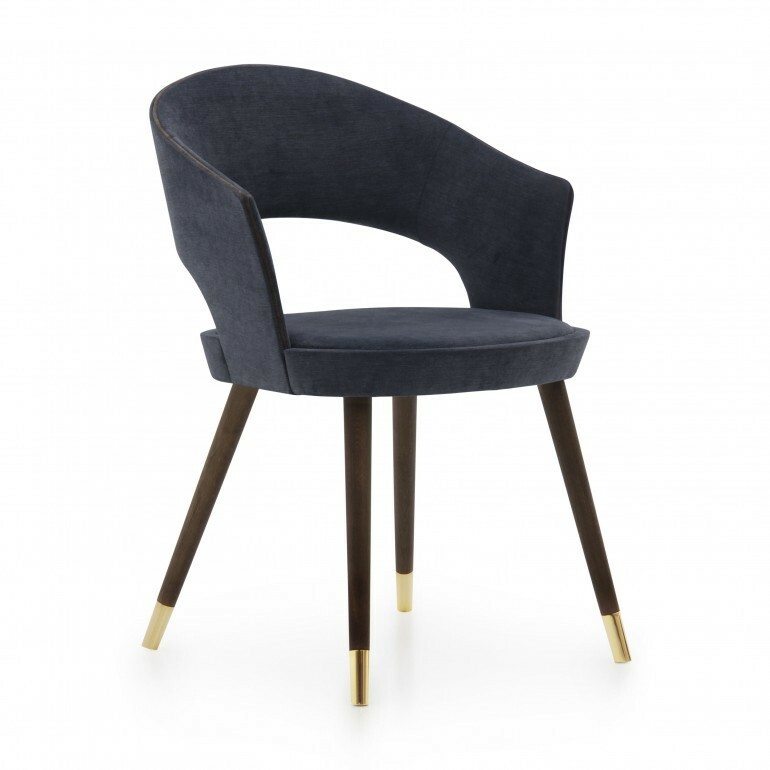 Lucrezia armchair adds elegance to the spaces. Its design is ideal to enrich the modern spaces, but is also an article that can be mixed with different styles. Wheather the piece is in line or in contrast with the surroundings, Lucrezia is always an element to be admired. The sober and refined lines are the expression of esclusive taste and beauty. Beautiful elements fit everywhere. Sevensedie clients are unique, and unique must be the pieces that furnish their living spaces. For this reason costumization has became a fondamental aspect. Lucrezia armchair can be customized to suit the taste and the desire of the client, everytime for a unique result. A large choice of fabrics, finishes and metal details offering a wide range of combinations. Our designers are always available to guide the client to the right choice. If you wish to receive more information on this product do not hesitate to contact us.